The neurological complications of Sjogren’s syndrome are extensive and range from cognitive difficulties to burning toes and feet. The “Peripheral Nervous System” – or PNS – includes larger and smaller nerves, connecting muscles to the spinal cord. Sjögren’s syndrome can cause inflammation and damage to both the CNS and PNS. Neuropathy, which means inflammation and/or damage to the peripheral nerves, can be affect patients with Sjögren’s. Neuropathy can cause various symptoms, from “numbness,” to “coldness;” in its most severe, neuropathy has been described as “burning,” “lancinating” or “feeling like my skin is on fire”. Neuropathy can also cause weakness and clumsiness. How does my doctor diagnose neuropathy? The first step is to take a careful history and do a physical examination. The pattern and description of symptoms, which may include pain and weakness, may suggest damage to the peripheral nerves. A neurological examination is crucial in providing objective evidence of peripheral neuropathy. Weakness may be present, which is typically greater in the toes and fingers, than in the larger muscle groups of the arms and legs. Your physician may test your reflexes. Whereas a reflex hammer should elicit emphatic lurches of arms and legs, patients with neuropathy may not have any reflexes. Lastly, your physician may test your ability to appreciate temperature, a sharp pin, and vibration. If the neurological examination confirms a peripheral neuropathy, then you may have a nerve-conduction test, looking at the integrity of nerves and muscles. Why is neuropathy under-diagnosed or under-treated in Sjögren’s syndrome? 1. Sjögren’s may uniquely target nerves which are not tested on normal nerve-conduction tests. Neuropathy can target nerves either of larger or smaller caliber, respectively referred to as a “large-fiber” neuropathy anda “small-fiber” neuropathy. Symptoms of large-fiber neuropathy include weakness and poorly localizable numbness and are associated with abnormalities on nerve-conduction tests. In contrast, patients with small-fiber neuropathy may have symptoms of pain, burning, and prickling, even without weakness. The nerve-conduction test is only sensitive to damage in the large-fiber nerves. and does not detect abnormalities in the smallest-caliber nerves. At Johns Hopkins we obtain skin biopsies when patients with symptoms of small-fiber neuropathy have normal nerve-conduction tests. The skin biopsy allows the clinician to assess damage to the small sensory nerve fibers that innervate the skin, an excellent marker of a small sensory fiber neuropathy, common in Sjogren’s patients. Sjögren’s syndrome is an example of an autoimmune syndrome. In autoimmune disorders, the immune system, which normally protects the body from infection and cancers, may cause injury to the body’s own tissues. In addition to the nervous system, organs which may be targeted in Sjögren’s syndrome include the eye, the lung, the heart, the kidney, and the joints. Many patients with Sjögren’s syndrome have autoantibodies, which bind to the body’s organ tissue and cells. Some examples of autoantibodies in Sjögren’s syndrome include anti-Ro (or SS-A antibodies) and anti-La (or SS-B antibodies). However, more than 50% of patients with neurological manifestations of Sjögren’s may not have autoantibodies. In patients who have neuropathy and compelling glandular symptoms of dry eyes and dry mouth, negative blood tests for SS-A and SS-B antibodies do not exclude the diagnosis of Sjögren’s syndrome. In the context of sicca symptoms, further diagnostic studies are warranted, including a Schirmer’s test, and a minor salivary gland biopsy. What are other types of neuropathy which can occur in Sjgoren’s syndrome? Sjögren’s syndrome can cause nerve damage which regulates the coordination of heartbeat, respiration, and gastric motility. This is called an “autonomic neuropathy. Examples of symptoms include lightheadedness when standing, decreased or increased sweating, and feeling full despite eating small meals. The diagnosis of autonomic neuropathy should be made by a neuromuscular specialist. Sjögren’s syndrome can cause numbness or burning of the face, called “trigeminal neuralgia.” Pain in the back of the throat, which may worsen while swallowing, is called “glossopharyngeal neuralgia.” Patients with trigeminal or glossopharyngeal neuralgia can have agonizing mouth and facial pain. These neuropathies may co-exist with other neuropathies in different parts of the body. For example, up to 20% of patients with a “small-fiber” neuropathy may also have trigeminal neuropathy. Medicines which may help alleviate symptoms in small-fiber neuropathy may also have efficacy in trigeminal neuralgia. Such medications may include a class of agents which are typically used to treat seizures, and include gabapentin, topiramate, andpregabalin. In seizure disorders, paroxysmal and irregular bursts of electrical activity in brain nerves may lead to propagation of seizures. Similarly, in Sjögren’s neuropathy, irritative electrical signals produced by nerves in the skin instead of the brain, may similarly contribute to pain. Just as anti-seizure medicines can dampen electrical activity of brain cells, the dampening of electrical activity produced by pain-fibers may ameliorate burning pain. It is important to note that use of these symptomatic medications does not target the neuron-inflammation which may be contributing to neuropathy. In such cases, judicious use of immunosuppressant medications should be considered. More severe patterns of weakness or clumsiness may cause weakness or paralysis of different muscles, and is called “mononeuritis multiplex”. These more cataclysmic episodes of numbness or weakness necessitate a thorough diagnostic evaluation, both by nerve-conduction tests, and often by biopsy of nerve and/or muscles. Mononeuritis multiplex occurs when there is inflammation of small blood-vessels. The muscles and nerves nourished by such blood vessels may be deprived of oxygen and nutrients, and is similar to a “stroke of the nervous system.” In such cases, ameliorating symptoms of pain is not sufficient – immunosuppressant therapy is always warranted in cases of mononeuritis multiplex. The pace of recovery from mononeuritis multiplex can be frustratingly slow. In some cases, it may be difficult to determine, whether a slow pace of recovery is due to ongoing and ineffectively treated inflammation, or is just a manifestation of the slow process of healing and “rewiring.” In such cases, repeat nerve-conduction tests may be important. Immunosuppresant medications which may be used in the pattern of mononeuritis multiplex includes cyclophosphamide, azathioprine, as well as prednisone. How is the neuropathy of Sjögren’s treated? In general, a neurologist and/or rheumatologist must determine the “pattern” of neuropathy (i.e. mononeuritis multiplex versus “small-fiber neuropathy). Distinguishing between these patterns is of paramount importance, because of distinguishing mechanisms which may necessitate different therapeutic strategies. The pain of neuropathy can be especially severe and may require different analgesics and anti-seizure medications. However, symptomatic treatment of pain should not preclude the institution of medications to dampen the immune-system, when there is evidence of ongoing neuroinflammation. Patients with Sjögren’s syndrome may have “myelitis,” which is inflammation of the spinal cord. Myelitis can cause weakness, numbness, and difficulty with urination and/or defacation. Myelitis can present quickly (i.e. within hours). However, symptoms due to inflammation of the spinal cord may evolve more slowly, progressing over weeks or months. This slower progression may be difficult to distinguish from Multiple Sclerosis (MS). Unfortunately, patients with myelitis and Sjögren’s syndrome can be misdiagnosed with MS. Appropriate tests, which may include spinal tap and MRI of the brain/spinal cord, can lead to diagnostic clarity. The importance of accurately distinguishing between Multiple Sclerosis and Sjögren’s syndrome is of paramount importance. MS and Sjögren’s have completely different treatments. The approved treatments for MS are ineffective for Sjögren’s syndrome, and may actually lead to “flares” or worsening of Sjögren’s syndrome. 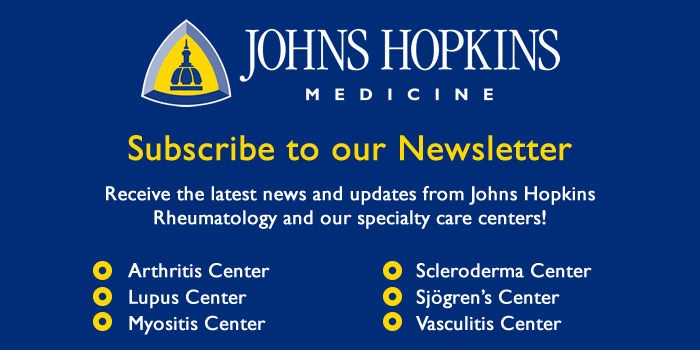 Patients with Sjögren’s syndrome may have another autoimmune disorder called “Devic’s syndrome,” or “Neuromyelitis Optica.” Neuromyelitis Optica (NMO) causes inflammation of the nerves connecting the eye to the brain, or “optic neuritis,” as well as myelitis. The pattern of myelitis which can occur in Neuromyelitis Optica is much different than Multiple Sclerosis. Typically, the myelitis in Neuromyelitis Optica is more severe, causing severe weakness, and may cause future relapses. Again, the treatment for Neuromyelitis Optica is much different than MS. Patients with Sjögren’s syndrome, who are diagnosed with MS, need to be skeptical about receiving these dual diagnoses. Below, I offer some helpful hints, which may especially cast doubt on the diagnosis of MS.
Answering “yes” to the below questions should especially raise consideration for the diagnosis of Neuromyelitis Optica. (1) Have episodes of myelitis been especially severe. (i.e. associated with inability to lift the arms or legs in the air)? (2) Have there been multiple relapses? (3) Have episodes of myelitis been associated with “optic neuritis,” or inflammation of the nerves connecting the eye to the brain? (4) Have MRIs of the spine shown inflammation which extends beyond three “back bones” or vertebral bodies? Any patient with Sjögren’s syndrome, a history of myelitis, and answering “Yes” to the above questions should have a blood test which may assist in the diagnosis of Neuromyelitis Optica. The name of this blood test is the NMO-IgG antibody, and is performed at the Mayo Clinic. It detects Neuromyelitis Optica in 70 percent of cases. This means that it is not a perfect blood test and will be negative in 30 percent of cases. In such cases, consultation with a neurologist with training in neuroimmunological disease is crucial. Multiple Sclerosis is not a single disease, but has different presentations, with different tempos. The most common type of MS is called “relapsing-remitting” MS, and is punctuated by episodes of unequivocal deterioration (called “flares”), versus periods of clear improvement and quiescent disease. However, a different type of MS may be confused with Sjögren’s syndrome. This pattern is called “primary-progressive” MS. In such cases, the crescendos of worsening and improvement typical of “relapsing-remitting” MS are not evident. Instead, there may be a slower and more gradual period of deterioration, reflecting inflammation and damage in the spine (i.e. progressive myelitis). Patients with Sjögren’s syndrome who receive a dual diagnosis of primary-progressive MS need to be especially vigilant about diagnostic misimpression. Specifically, there is no effective treatment for primary-progressive MS. Any patient with Sjögren’s who receives a diagnosis of primary-progressive MS deserves a trial of immunosuppressant medication which may be helpful if progressive myelitis is occurring because of Sjögren’s syndrome. It is often difficult to distinguish between primary-progressive MS and Sjögren’s disease. Patients with Sjögren’s syndrome may have less brain disease on MRI compared to patients with primary-progressive MS. In addition, patients with Sjögren’s syndrome may have lesser amounts of protein in the spinal fluid, called “oligoclonal” bands. Therefore, any Sjögren’s patients with a diagnosis of primary-progressive MS needs to have brain MRIs, as well as a spinal tap. The most common CNS complications of Sjögren’s syndrome include myelitis and optic neuritis, which are syndromes that can occur in MS. Because of this symptomatic overlap, patients with Sjögren’s syndrome may erroneously receive a diagnosis of MS. Because the treatments for MS are not only ineffective for Sjögren’s syndrome, but may actually precipitate flares of Sjögren’s disease, accurate distinction between MS and Sjögren’s syndrome is crucial. When the myelitis is particularly severe, associated with optic neuritis, or involves extensive regions of the spine, then the diagnosis of Neuromyelitis Optica should be considered. Spinal taps and brain MRIs may help in the distinction between primary-progressive MS and Sjögren’s syndrome. All patients with myelitis in the context of Sjögren’s syndrome deserve a trial of immunosuppressant therapy.